Call 1-800-875-9145 for Commercial Price Savings Quote! White Glove Assembly(350.00) customer does not touch it! The PhysioMax Independent Bi-Directional Upper Body Ergometer and Recumbent Bike all-in-one Total Body Trainer is the newest innovation in affordable Total Body rehabilitation products with patent pending "independent action." 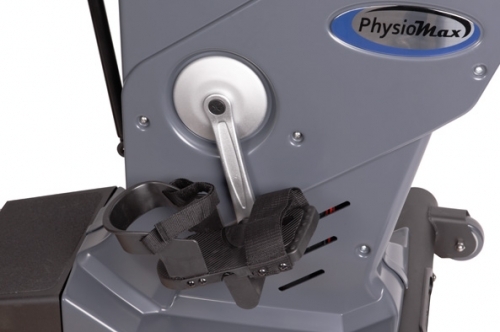 The PhysioMax's independent arm and leg motion allows users to work their upper body (Upper Body Ergometer) & lower body (recumbent bike) independently from each other. 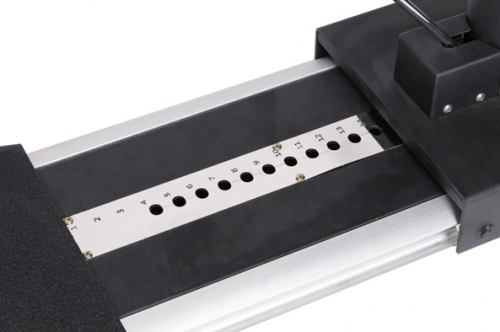 The resistance on the PhysioMax is bi-directional & can be adjusted providing versatility for any application. It features a walk-thru design with a removable seat for wheelchair access. 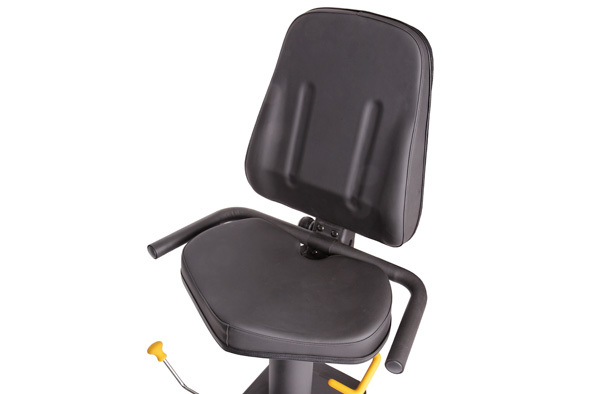 The oversize seat swivels to accommodate users with low mobility. 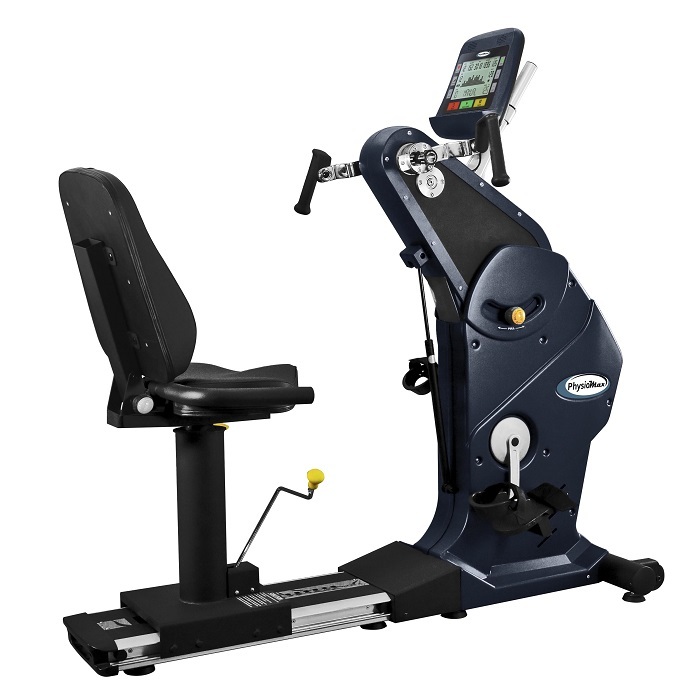 The PhysioMax Independent Bi-Directional Upper Body Ergometer and Recumbent Bike all-in-one Total Body Trainer has adjustable hand cranks, pedals, as well as an adjustable UBE arm can be raised or lowered for variable arm positions. Resistance varies from the low "easy start" for deconditioned users and goes up to level 16. The large 9" LCD console has preset programs & displays speed, time, distance, pulse , RPM, Watts, METS & calories. The PhysioMax Total Body Trainer is a new innovation in Affordable Rehabilitation. The PhysioMax Total Body Trainer allows users to safely Exercise Arms and Legs Completely Independent from each other via a unique Patent Pending Design. Adjustability, Customization, Variability and Personalization are a few words that describe the experience using the PhysioMax Total Body Trainer. Call 1-800-875-9145 and speak with one of our fitness advisors with any questions you may have about the PhysioMax Total Body Trainer. 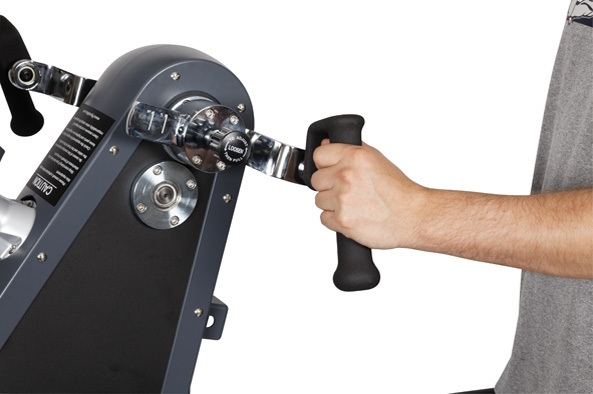 Order your PhysioMax Total Body Trainer from FitnessZone.com today! Max User Weight 500 lbs. 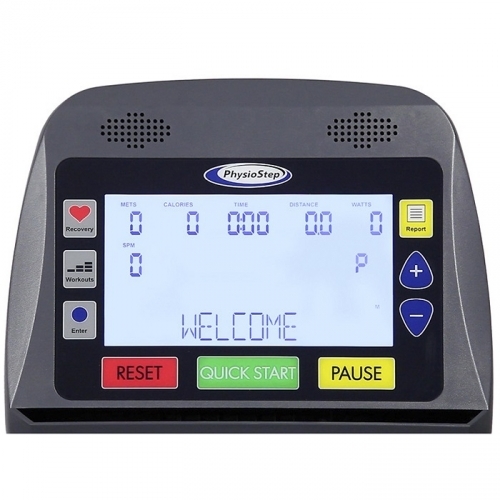 METs, & Resistance Level "1-16"
Order your PhysioMax Total Body Trainer TBT-1000 from FitnessZone.com today!